It was 1941 and like it or not, America was gearing up for war. One major challenge was how to house people and supplies around the globe. The answer came from right here in Rhode Island: the Quonset hut. This writer recently became interested in this simple, multi-purpose structure while researching another story. As it often happens, one takes a turn off the main road and finds something even more intriguing. Come along and we’ll take a look at a ubiquitous symbol of American know-how that survives to this day. The major construction firm of George A. Fuller, based in Chicago, was involved in the building of the Navy’s major facilities at Quonset Point when the government approached a Fuller engineer, Peter Dejongh, and the company’s only staff architect, Otto Brandenberger. Both were working on the Davisville section of the base. 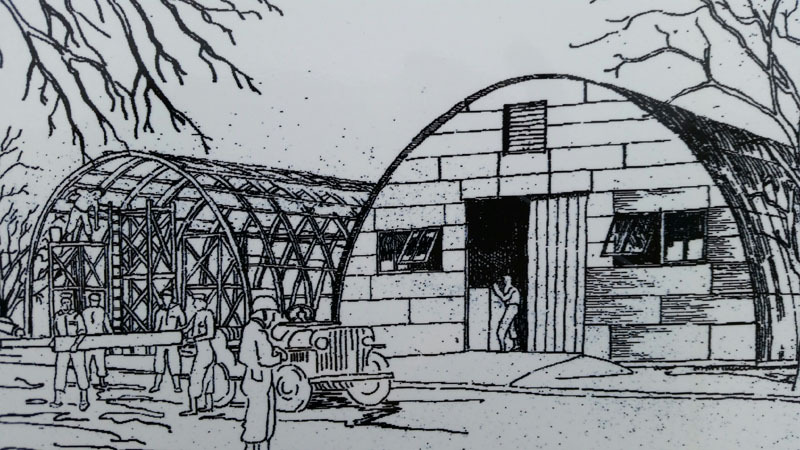 Could they also come up with a design for an easily manufactured and assembled building based on the WWI British Nissen hut … and could they do it inside of two months? Their answer was an updated corrugated steel, semi-cylindrical building. A Providence firm, Anderson Sheet Metal, created a way to curve ribbed sheets using a lightweight metal developed in the 1930s by the Stran-steel division of the National Steel Company. (The Pittsburgh-based company still markets modern Quonset style buildings.) 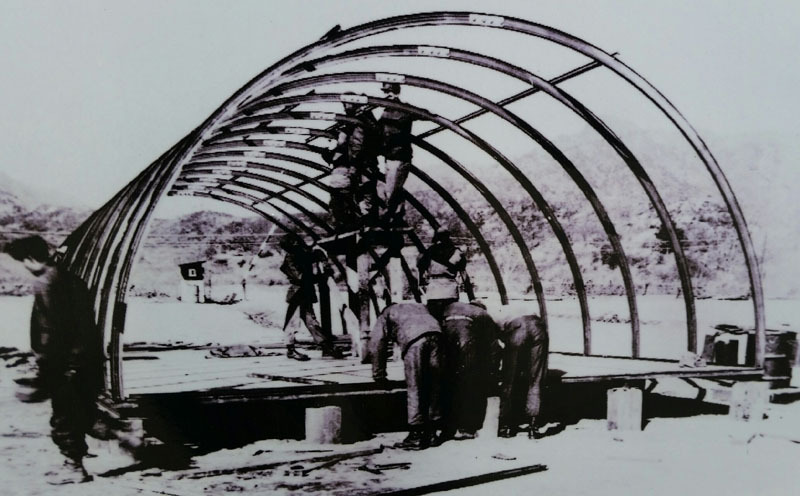 Using these curved corrugated panels, a crew of 6 to 8 men could assemble a hut in a single day. 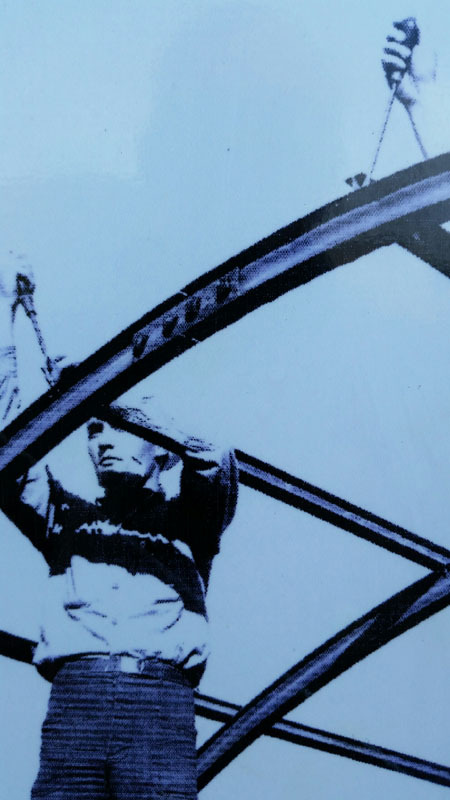 They used ordinary hammers to drive a specially hardened nail with an attached lead washer through the corrugated sheets into a ribbed metal frame. The kits included Masonite interior paneling, insulation and flooring, along with doors, windows and end panels that could be interchanged to accommodate weather conditions (screened for warm climates and enclosed for cold). Some models used plywood or canvas for the end panels to save on steel. So what to call this marvelous invention? A Navy engineer, Commander R.V. Miler, CEC, came up with the idea of naming the building after its origination point (Quonset being a Narragansett tribal word meaning “boundary”). The project quickly got underway in a major production facility built on an 840-acre site in West Davisville (now part of the QPD Industrial Park along Route 403). 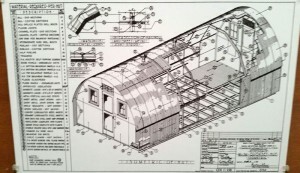 The first hut kit came off the assembly line within 60 days of the original contract award (even as the design was evolving and the production facility was not fully complete). Eventually, additional private contractors around the world were engaged to produce the Quonsets, but the overwhelming majority were built right here in Rhode Island. 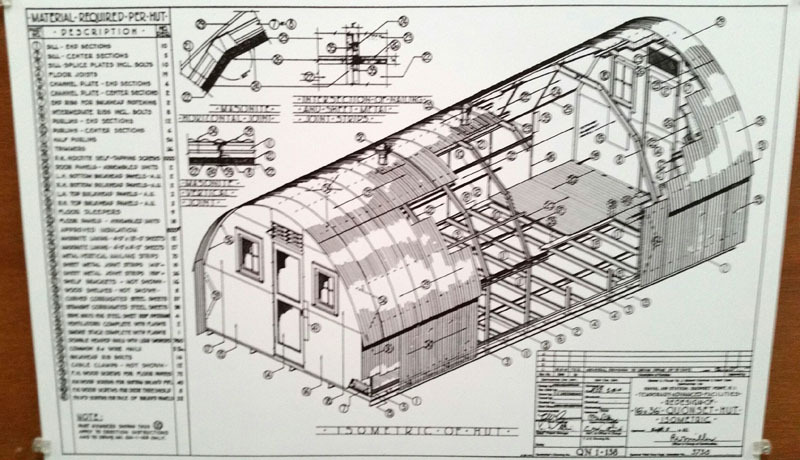 The original Quonset design had a 16 by 36-foot footprint, later expanded to a standard 20 by 48-foot general purpose size with some 86 different interior configurations (barracks, medical, chapel, classrooms, repair, supply, offices, mess halls, bakeries, etc.) and to warehouse styles of 40 by 100 feet, called “Elephant Huts.” The small models cost $800 in 1941 (around $12,000 today). The largest wartime Quonset hut was built on Guam: a 54,000 square foot warehouse. The beauty of the Quonset hut lay in its simplicity. Not only could it be quickly and cheaply produced, it could be transported as easily as a comparable sized tent, and with greater end-use versatility. During the war, the Quonset design evolved through five different models, each one becoming cheaper and/or more adaptable. The second version, or “Redesign Hut,” for example, could be assembled with hand tools. The kits’ packing crates could be employed as staging for the workers putting up the building. The Redesign also had 4-foot vertical sidewalls improving interior space, and overhangs at each end for some protection against the elements. This design became one of the most common, and its elements were used in all future models. More than 153,000 Quonsets, often called “tin cans” by their occupants, were eventually produced. Many were directly transported to the European theater from Davisville’s Advanced Base Depot, located on the waterfront of the massive naval base. Additional depots in Mississippi and California increased shipping efficiency. At stateside bases, civilian contractors usually assembled huts. But overseas, military personnel, often Navy Seabees, did the job. The Seabee Museum in North Kingstown contains seven examples of vintage Quonsets, rescued from demolition when development began for the industrial park that stands on the site of the WWII Camp Endicott Seabee Base. The main museum is in a recently completed large Quonset warehouse. Although several WWII-era large warehouses still stand in the industrial park, those round roofed, cement block structures should not be confused with Quonsets. Quonset Point in Rhode Island. Major WWII Quonset installations were set up at the Navy’s Training Center in Newport, the anti-aircraft school at Price’s Neck, and the torpedo firing range on Gould Island. 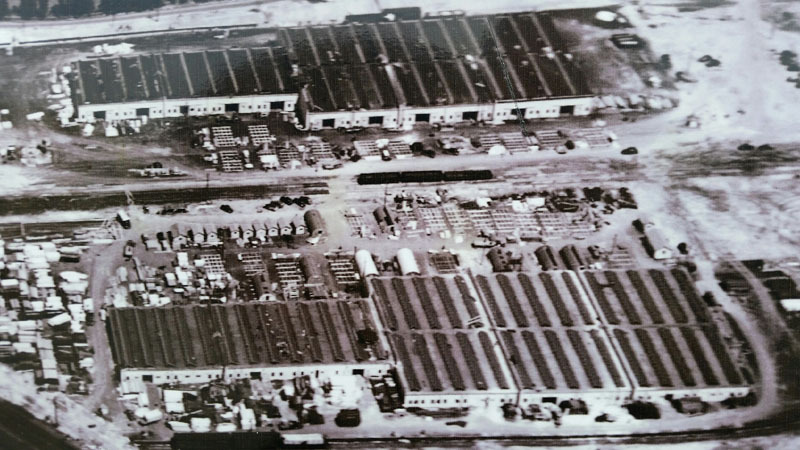 The Motor Torpedo Boat Squadron Training Center in Melville was also a major Rhode Island Quonset facility. In addition to warehouses and classrooms, huts there were used for officers’ and enlisted quarters: eight officers or twelve enlisted to a hut. As the base grew, the number of men assigned to each increased. The officers enjoyed inside showers and a head (toilet), but enlisted had to walk outside to freestanding facilities (a chilly trip on a Narragansett Bay winter night). Huts were heated – sort of – by oil-fueled stoves. 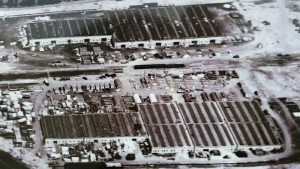 Eventually, 154 Quonsets were built at the Melville base. After the war, as bases worldwide were decommissioned, the huts were torn down or sold off by the thousands for pennies on the dollar as surplus. Many of these wound up in post-war residential and commercial use. Although many have disappeared over the past decades, here and there, you can still find the familiar half-round shape serving as out-buildings, barns, homes, garages, diners, or even churches. Construction of a Quonset Hut. In one unusual post-war use, the fledgling Decca Record Company used a surplus Quonset as a recording studio in Nashville, Tennessee. It seems that the shape and the steel construction made for excellent acoustics. Stars such as Patsy Cline, Conway Twitty, Loretta Lynn, and the legendary Man in Black, Johnny Cash, recorded in that Quonset hut studio early in their careers. Closer to home, in the early 1950s, the student union at the URI Kingston campus was housed in a large Quonset on the northern end of the campus. Still in South County, if you drive down Middlebridge Road between Route 1 and Boston Neck Road, you’ll see several Quonsets, with additions, that remain in use as living quarters. At Battleship Cove in Fall River, a surplus 40 by 100 foot Quonset warehouse shelters one of the museum’s two PT boats. 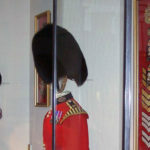 It was assembled onsite using the same wartime methods. Near the Korean DMZ, the US Army still uses Quonsets at Camps Red Cloud and Casey as well as at the Pohakuloa Training Area on the big island of Hawaii. Numerous Quonsets also survive in Alaska. 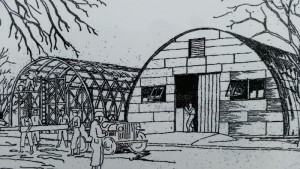 Even today, the unique shape of the Quonset makes it particularly adaptable due to its weather resistant shape. Quonsets have been known to withstand hurricane force winds, tornadoes, earthquakes, and blizzards. As long as these venerable buildings are cared for, who knows how long the survivors will last? Certainly, a lot longer than their original designers intended. Special thanks go to CWO Jack Sprengel, USN (Ret.) of the Seabee Museum for his input and for the images used in this story.